The country also has a national bicameral parliament, which includes the Predstavnički Dom (House of Representatives), comprised of 42 members elected on the basis of proportional representation, 28 from the Federation of Bosnia and Herzegovina and 14 from the Republika Srpska. The upper chamber, the Dom Naroda (House of Peoples) has 15 members — five each for Bosniaks, Serbs and Croats. The combination of ethnicized politics and a weak national government has only amplified the country’s growing pains since the horrific ethnic cleansing and warfare of the early 1990s. Three levels of government and tripartite division among three ethnic groups results in a staggering amount of corruption, stagnation and economic inefficiency. 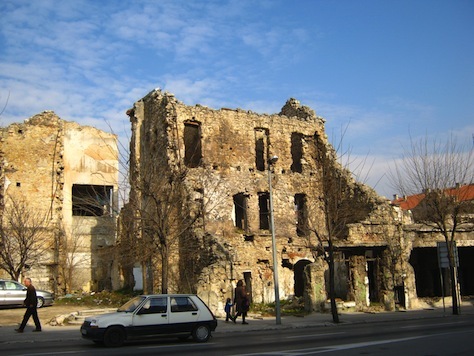 All of those conditions were among the reasons that residents in Sarajevo took part, in February, in the most widespread anti-government protests since the war. Those were overshadowed by devastating floods in May, however. Meanwhile, the country has had an internationally appointed ‘High Representative’ for the last two decades, created under the terms of the Dayton Accords, whose job it is to knock heads around when the country’s national leaders can’t agree on policy. Former Swedish foreign minister and prime minister Carl Bildt served as the first high representative from 1995 to 1997, and longtime UK Liberal Democratic leader Paddy Ashdown held the job between 2002 and 2006, where he was criticized for assuming a nearly dictatorial mien. As a general rule, Bosniak leaders are enthusiastic about greater centralization, because Bosniaks constitute nearly 50% of the country’s 3.87 million people. Serbs, who constitute around 37%, fiercely guard their autonomy. (Croats represent another 14% or so). No one really knows the exact breakdown among the three major groups. Before a 2013 census, there hadn’t been a census since before the country’s independence from the former federation of Yugoslavia. But in addition to the system’s inefficiency, there’s no mechanism for Jewish, Roma or other minorities to contest the presidency as a constitutional matter (or many other offices, as an unofficial matter). In the three races for president, the Serb and Croat incumbents are both stepping down after two consecutive terms. 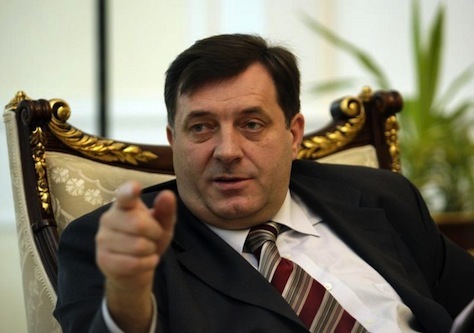 The Bosniak president, Bakir Izetbegović (pictured above), is vying for reelection as the candidate of one of two dominant Bosniak parties, the Stranka Demokratske Akcije (SDA, Party of Democratic Action), a relatively center-right, pro-European party. His father, Alija Izetbegović, served as the first Bosniak president between 1996 and 2000. 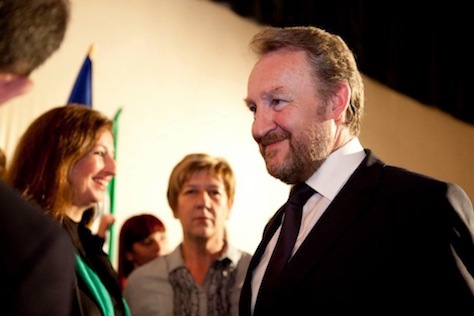 The party is locked in a competitive race with the Socijaldemokratska Partija Bosne i Hercegovine (SDP BiH, Social Democratic Party of Bosnia and Herzegovina), its center-left Bosniak alternative. The Савез независних социјалдемократа (SNSD/СНСД, Alliance of Independent Social Democrats), a relatively center-left party, dominated the last elections in 2010, and its leader, Milorad Dodik (pictured above) is the president of the Republika Srpska, a more powerful position than the Serbian slot within the tripartite, rotating presidency. He is running for reelection in the 2014 general elections, and he’s often threatened to hold a referendum for the Republika Srpska to secede from the rest of the country.